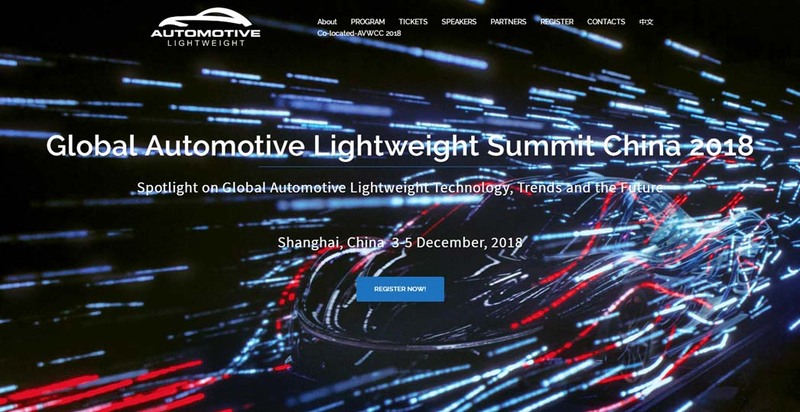 It is my greatest pleasure, on behalf of the Organizing Committee to welcome you to attend the Global Automotive Lightweight Summit China 2018, which will be held on Dec. 3-5, 2018, in Shanghai, China. With the acceleration of China's economic globalization, China's dependence on the international energy and raw materials market is deepening. The rising price of international crude oil and industrial raw materials has caused great burden on China's economic development. As a large energy consumption, the energy consumption of automobile directly affect the overall energy consumption level of our country. In face of enormous pressure of oil supply, global warming and haze, China is actively taking measures to continuously strengthen the fuel consumption requirements of passenger vehicles through technical standards and regulations. The overall trend is that the average fuel consumption of passenger cars will reach 5 L/100km by 2020. The requirements of related regulations and standards for vehicle fuel economy have directly promoted the development of automobile lightweight. The GALS China 2018, schedule from Dec. 3-5, is a 2-day gathering of top international and domestic OEMs and suppliers to discuss key questions of vehicle design, manufacturing processing, lightweight materials etc. It should be the ideal platform for automotive industry stake holders/individuals to know the latest updates and explore partnership opportunities for staying ahead of the game. We look forward to your participation in Global Automotive Lightweight Summit China 2018.